Across the undulating landscapes of Southern Africa, the majestic Big 5 await your discovery on a truly African safari. And what could be better than a safari in cape town! On the hunt to meet the world renowned lion, leopard, rhino, African elephant and Cape Buffalo on a Big 5 Safari? Your African dream begins here. With a wide array of tours available, you are sure to pin down the best safari near cape town for your upcoming trip to the Mother city. It’s time to enjoy your moment under the beautiful African sun. As the first trace of the African sun starts to streak across the sky, your daytime safari itinerary options begin. 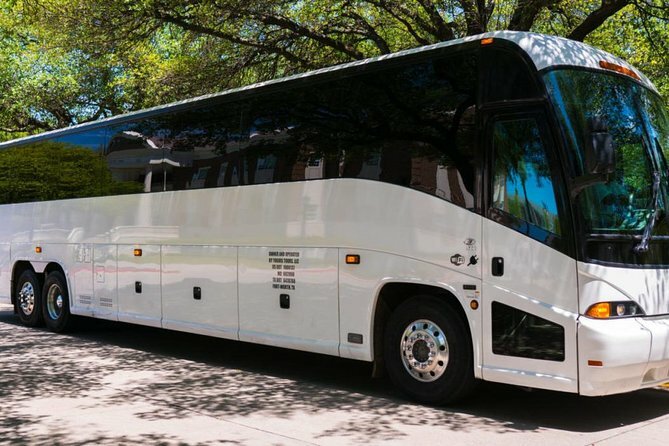 You set the pace with a choice of a morning, afternoon or sunset tour. If time is of the essence, then a short but sweet 5 hour trip to Aquila Private Game Reserve in the Southern Karoo is just what you need. Wake with the wildlife and begin your early morning safari around 7am with a hot cup of tea or coffee and a firm South African favourite in hand, the Ouma rusk. Keep a watchful eye for the ever elusive Big 5, as you are guided by an experienced ranger on a 2-3 hour game drive. A pre-packed continental breakfast warms the belly before heading back. Who says that only the early bird gets to catch the worm? For the late-risers, kick off from 12pm for 7 blissful hours at Aquila Private Game Reserve. Enjoy a delicious buffet lunch before setting out on a 2-3 hour game drive at the hands of an experienced ranger at Aquila. Let their knowledge and stories about your surrounds excite and enthral you as you spot the abundant local wildlife. Perhaps the Aquila labyrinth, a game of giant chess, or a little rest and relaxation poolside is the perfect way to close off the day? Otherwise, be sure to catch the scheduled departure tour back to Cape Town at 4pm. After a refreshing beverage and snack, hop aboard an open 4×4 safari vehicle where an experienced ranger will guide and beguile you with stories of your surrounds over a 2-3 hour game drive. Why not arrive earlier and reserve your spot at the spa to enjoy the sauna, steam room or heated pool before your 3pm meet and greet? Just a scenic two hour drive from Cape Town, meet at Inverdoorn Nature Reserve at 10am for a full day submersed in nature. Savour a welcome drink before settling into a game drive aboard a purpose built open-air 4WD game viewing vehicle where your knowledgeable and experienced ranger will take care of the rest. Watch the arid Karoo horizon for the spotting of one of the 1200 species on the reserve and if time allows, you may even get to walk with gentle giraffes before settling in for lunch! Get transported to an otherworldly landscape as you head towards the Klein Karoo. Enjoy the natural environment of the Big 5 in all its arid, African glory with this full-day tour just two hours from Cape Town. Upon arrival you can enjoy a welcome drink before heading out for a 2 hour game drive aboard an open 4×4 safari vehicle. On board you will have the chance to spot elephants, lions, leopards, rhinos and the African buffalo. The added bonus? Stop along the way to experience walking with the giraffes, all before returning for lunch in the Boma-style restaurant. After a 2.5 hour drive from Cape Town, breakfast awaits at the impressive Aquila safari for a full-day of spotting the Big 5 and soaking up the African sun. An experienced ranger will guide you over a 2-3 hour game drive aboard an open 4×4 safari vehicle. Here you will have the opportunity to spot not only lion, leopard, rhino, elephants and the African buffalo, but also the bountiful species of birdlife and other game. A buffet lunch greets you on arrival back to the lodge, after which you have until 4pm to enjoy the facilities. Squeeze in a relaxing massage before the shuttle departs at 4pm, returning to Cape Town in the early evening. Slow it down to a more comfortable pace and extend your safari to an overnight stay. Gaze up at the African night sky in prime stargazing territory, far from the interference of the bright city lights. Departing from Cape Town, your two day safari experience will lead you on a scenic journey to the southernmost tip of Africa. The picturesque coastal road winds you through Betty’s Bay and on to the most famous whale watching spot in the world, Hermanus, before reaching the Cape Agulhas lighthouse. A stop at the lighthouse draws the dividing line between the cold Atlantic and warm Indian Oceans. This stop also marks the continuation of the journey on to the Garden Route Game Lodge, where a Big 5 open-air sunset safari drive and buffet dinner awaits you. Rest easy after an adventurous day in one of the 4-star wooden chalets, before waking for an early morning game drive to see the animals begin to stir for the day. Breakfast and a visit to the reptile park complete this short-yet-sweet getaway, before returning to the Mother City around 7pm. Looking for spontaneity? An incredible experience awaits on this customizable 3 day tour from Cape Town to Jeffrey’s Bay. The first stop in your journey is to the ‘Ostrich capital of the world’, Oudtshoorn. Choose between an afternoon at the Cango Endangered Wildlife Ranch for a guided tour and a dip with a crocodile (in a cage of course!) or head to the Cango Caves to experience a once in a lifetime guided tour of the ancient cave system. Extend the one hour tour by another thirty minutes and enjoy the novelty of squeezing yourself through the myriad of nooks and crannies the cave system has to offer. With names like ‘The Coffin’ and the ‘Devil’s Post Box’, you are in for a thrill. Settle in at the laid-back coastal town of Sedgefield for the night. After a drive to the Crags in Plettenberg Bay, pay a visit to the Elephant Sanctuary for an interactive experience with mighty African elephants, or get up to some monkey business at the Monkey Sanctuary, the world’s first free roaming primate sanctuary. Not enough? Perhaps a plummet of 216 metres from the world’s highest commercial bungee jump will get the heart pumping, before winding down for a tranquil forest walk through the Tsitsikamma National Park. On the other side awaits the Storms river swing bridge, where you can pause and take in the view before moving on to the well known surfers town of Jeffrey’s Bay for the evening. Make the most of your morning in one of world’s most renowned surf spots and take up a lesson on the waves, or perhaps a retail fix at the many surf factory shops in the area is more to your liking. Another more inland adventure may be on the cards, with a trip to the Addo Elephant National park, where you can enjoy a morning game drive amongst majestic African elephants. Enjoy some of the highlights of the Western Cape on this action packed, customizable five day tour from Cape Town to Port Elizabeth. From collection in Cape Town, day one puts you on route to the southernmost tip of Africa. A visit to the endangered African penguins in Betty’s Bay is followed by a scenic drive to Hermanus, where an array of shops, artworks and restaurants will entertain you for the afternoon. Whale watching is also on the cards between the months of July to November, as is the opportunity for an optional half day of shark cage diving. The day concludes at the meeting point of the Atlantic and Indian Oceans in the Cape Agulhas, to settle in for the evening at Struisbaai. Take in the sights of Route 62 on track to the Klein Karoo, where the day kicks off and ends in Oudtshoorn. The ‘Ostrich Capital of the World’ is a great place to purchase beautiful handcrafted ostrich leather goods and is in close proximity to the Cango Caves. Enjoy an afternoon exploring the ancient cave system with an experienced guide, or simply kick back and indulge in a sampling of local wines from the region. After breakfast travel over the Outeniqua Mountain Pass on route to the Wilderness National Park. An action packed day begins with canoeing up the Touw River, surrounded by lush indigenous forest and abundant birdlife. From there a 2 kilometer boardwalk hike reveals a cascading waterfall and rockpool where you can kick off your shoes and enjoy a dip. Next stop is lunch and shopping in the heart of the garden route, Knysna. Travel up to the Knysna Heads to take in the the views to either side, the Knysna River estuary to one side and the Indian ocean to the other. Wind down for the day at the coastal town of Sedgefield, perhaps with a little sand between your toes at one of its beaches before settling in for the night. After breakfast Tsitsikamma National Park awaits, with a stop at Bloukrans Bridge where you can tap into your adventurous side with a 216 meter high bungee jump along the way. Hike, swim or take a wander across the suspension bridge upon reaching Tsitsikamma for the afternoon. Leave the Garden route behind and turn in for the night at the beautiful Avoca River Cabins, located in a citrus and rose growing region within the Sundays River Valley. Get ready to visit the densest population of African elephants on earth, and home to the Big 5, at Addo Elephant National Park. The 28,000 hectare reserve is teeming with life and offers plenty of opportunities to spot the many animals that call it home, while taking an optional 2-3 hour drive. The tour concludes with a drop off in Port Elizabeth at a location of your choice. A little bit daring and whole lot more relaxing, this popular return tour from Cape Town covers all the highlights of the garden route and beyond. Leave Cape Town in the rear view mirror and head towards Hermanus, the whale watching capital of South Africa. A stop at Betty’s Bay is a welcomed opportunity to meet the colony of endangered African penguins in their cosy seaside habitat. Pass through Hermanus for a spot of lunch and shopping, perhaps even a lucky whale sighting between the months of July to November. Continue onward to the southernmost tip of Africa, Cape Agulhas, to witness the meeting point of the cold Atlantic and warm Indian oceans. Head to the ‘Ostrich Capital of the World’, Oudtshoorn, where an afternoon lies in wait for exploring the ancient cave system at Cango Caves, or simply spend some time sampling local wines. With breakfast out the way, a trip over Outeniqua Mountain Pass leads to an afternoon of canoeing between the lush indigenous vegetation along the Touw River at Wilderness National Park. Explore the surrounds a little more on a 2 kilometre boardwalk hike that opens up to a cascading waterfall, where you can enjoy a dip in the inviting rock pool below. Next stop, Knysna. Lunch and leisurely shopping leads on to a trip up to the Knysna Heads, where a remarkable viewpoint parts the Indian ocean and Knysna River estuary to either side. Relish in the sun, sand and ‘vitamin sea’ while relaxing on one of the beautiful beaches nearby in Sedgefield for the remainder of the day. No garden route trip is complete without visiting the Tsitsikamma National Park for a hike, swim or walk across the suspension bridge. A quick stop on route at the world’s highest bungee jump bridge, Bloukrans, is an opportunity to tick off an item on your bucket list. But this one may just be for the daring few. With 2-3 hours at Addo Elephant National Park, there is plenty to do on this 28,000 hectare reserve, including the option of a game drive. Head back to the heart of the garden route to settle in for the evening in either Wilderness or Mossel Bay. After breakfast, stretch out on one of the beaches at Mossel Bay and soak up the sun or get your heart rate up on a hike along St. Blaize trail, contouring along the cliffs from the St. Blaize lighthouse. If you aren’t quite ready for the tour to end, you could indulge in an optional tandem skydive or sandboarding adventure before returning to Cape Town. Saddle up and get ready for a half-day safari with a difference. Keep a watch for the iconic Big 5 as you stalk game through the exquisite Aquila Private Game Reserve by horseback. Make the 2.5 hour drive there from Cape Town, or pre-book a seat on the scheduled shuttle to begin the day bright and early at 9am, with a welcome drink and breakfast. After your 1.5 hour horseback safari with an experienced guide, the afternoon is yours for a spot of lunch and leisure time. Why not make the most of the time available and add on a spa treatment to unwind and reflect on the activities from the day. If you want a little more fun in the sun, relax beside the pool, explore the Aquila Labyrinth or play a game of giant chess. No horse riding experience is necessary but age and weight limitations do apply. Embrace your wild side and venture out into 10,000 hectares at Aquila Private Game Reserve on a quad bike safari, led by two qualified rangers to guide and enlighten you on the journey. Make the 2.5 hour drive yourself from Cape Town or pre-book a seat on the scheduled transport, to meet for a welcome drink and breakfast at 9am. Spend 1-2 hours cruising around the conservancy before meeting back for lunch and some leisure time. Some age and weight limitations may apply. Perhaps a dip in the pool or a visit to the Aquila Labyrinth are just what you need before heading back to Cape Town. A short one hour meander from Cape Town along the picturesque West Coast brings you to the Buffelsfontein Game & Nature Reserve, where you will spot four of the famous Big 5 over some 1600 hectares of reserve. 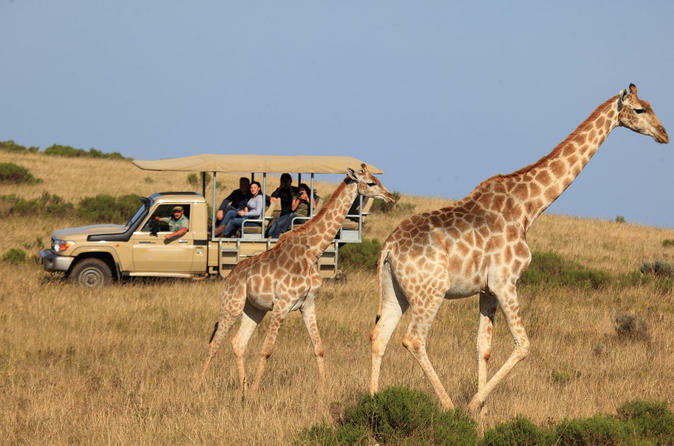 Ease into a 1.5 hour guided game drive on board a safari vehicle to kick off the day, before getting up close and personal with the giraffe, zebra, oryx and of course the members of the Big 5 by bicycle at the neighbouring San-!Khwa ttu. Two well-marked routes on the cycling trail offer adventure for all levels of experience. Conclude the afternoon with a leisurely lunch and another cycle through the West Coast National Park before returning to Cape Town. Hit the Route 62 departing from Cape Town and gear up for a glamping experience in Oudtshoorn. A 4.5 hour drive brings you to the Botlierskop private game reserve, with the Outeniqua Mountains as a backdrop. A safari game drive on board a 4×4 safari vehicle places you in prime position to spot the Big 5, before continuing on to Oudtshoorn. The understated elegance of Buffelsdrift Game Lodge lies in wait for a relaxing evening, cocooned inside a luxury canvas tent at the heart of the magical Klein Karoo. Set close to the nearby watering hole and surrounded by African fynbos, enjoy a soak in a claw foot tub before easing into your king size bed. Set off after breakfast the next morning into the Klein Karoo bushveld on a 4×4 safari. You can also choose to take a stroll with the gentle giants Jabari, Malaika and Bulelo, three orphaned elephants who now call the reserve home. A drive along the Route 62 takes you back to the Mother City. Escape the city for a one day adventure safari of a different kind. Take in the beautiful natural scenery while heading along the coastline to Gansbaai. Watch the African penguins waddling around at Stony Point or pay a visit to Harold Porter National Botanical Garden. Set between the mountain and sea, the Botanical Garden boasts waterfalls, amber pools, nature trails and exquisite cultivated and natural fynbos. Onward to Gansbaai, enjoy taking in the majestic beauty of De Kelders and the lengths of pristine beaches before arriving in Walkers Bay for a 2 hour Big 5 sea safari aboard a purpose built sea safari boat. After working up an appetite, lunch in Hermanus concludes the afternoon with the opportunity to browse the many market stalls and boutique shops to pick up a special memento. The drive back presents the perfect excuse to make a pit stop at the well loved Peregrine Farm Stall in Grabouw, with a wide selection of quality local produce and the most delicious sweet and savoury pies to enjoy on the hour long ride home. We loved it If you want to see all big five of them then this is what you need to book. It’s a shelter that means that guides know most of the time were all animals reside. Awesome! Really good experience. A bit of a trek to get to, as google has an pin location in the town of Ceres, which is incorrect. But even though we arrived late, we managed to join the rest of the tour. Rangers worked really hard to show all the animals. Lunch was poor, vegetarian options were limited. Also note drinks are additional costs and not included in the lunch! Overall great value for money! Great tour with Ferne, great tour guide. Nice tour My guide Ferne was really nice and funny. Her voice is really nice and clear. She managed everything really well. I was in a group with 10 other tourists. So there were not too many people. We had lots of fun. I stayed in the Backpacker's with own room and bathroom. They were all really lovely. But of course sometimes you get jealous when you see the B&B rooms. Ferne allways tried to get us to the accommodation before sunset, so we can see the beautiful area around it. Usually, when we had a longer way to drive, she stopped every 1,5 to 2h to get us a little break and stretch our legs. We were really lucky in the Addo Elephant Park. We saw many elephants and they were really close. And we saw some lions too! I really can recommend this tour and the company. We needed a new bus after a stone smashed a window, so we had a regular stop at the pinguins and after we came back, the bus was exchanged already. So they are really organized. Not real safari It's fine if you want a taste of safari near capetiwn but be well prepared that you might not be able to see all the big 5. Requested for halal food which they said OK but once we got there they have no idea. It's more of a conservation project so i guess it's worth the money to help out in the sense . Fantastic safari at inverdoorn This was my 2nd and best safari so far in South Africa . Deben contactar a la compañía para coordinar el transporte el día anterior ya que tuve problemas con eso, por lo demás el safari no es tan lejos solo 2h y vale la Pena , deliciosa comida y hermosos animales . Great Opportunity to get an overview of the Cape Region Our tour guide Gerhard Pretorius gave us lots of interesting information about the areas we travelled through. He was very carefully planning our days, arranging restaurant visits, tour activities and re-confirming accommodation. He kept everyone well informed about the schedule. Our group was getting along very well with each other so all of us had dinner together with the tour guide every night. The restaurants proposed by the tour guide were all excellent and very special. Most likely, someone travelling individually on the Garden Route would not find these nice places. Since this was a combination of Garden Route and Wine Tour, we changed bus and tour guide in Stellenbosch. Our new tour guide Moudi and the new group were also very pleasant and again we all had a good time having dinner together. All the activities were exactly as advertised and we enjoyed them very much. 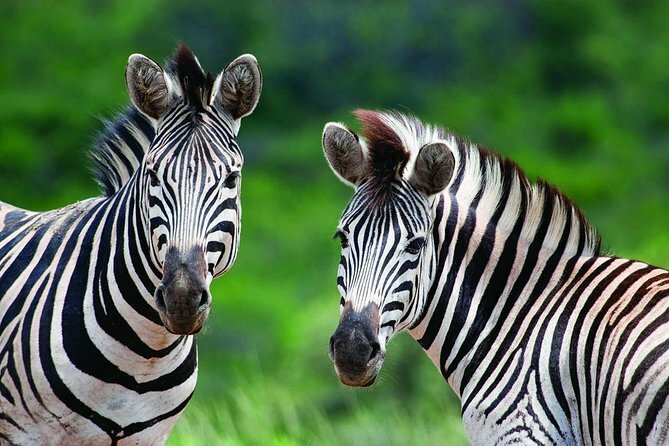 If one does not have sufficient time or money to take a real safari at one of the national parks, this one day tour to Invendoorn game reserve will do. We got to see quite a few animals, although no rhinos as we had been promised. I wish we could have spent more than just 2 hours and 20 minutes on the jeep inside the game reserve, considering the long drive to and from the game reserve. Two important aspects of the tour were great: animal sightings and the buffet lunch. The only negative was the speed at which the guide drove. It was terrifying and at one point I thought I would be sick. Another passenger was so tossed about that she binoculars flew off. It was as though the driver was rushing from one animal location to another to ensure we saw the big 5. Frankly ‘d would be OK with seeing less and driving at a reasonable pace. Waste of time and money. Safari no chance more rumble in the scrubland. Completely disappointed with the whole day . Have to agree with other reviews its an open zoo with rescued animals behind fenced enclosures. Booked through Viator a TripAdvisor company so thought the day would run smoothly at least. Transport turned up late and the 12 seater minibus absolutely chocker full with passengers and luggage. Very cramped and uncomfortable 5 hr journey and even the driver got lost on the way. Bundled onto the safari bus no drinks/snacks as promised. Only got a 2 hr safari as a result of the driver getting us lost on the way as lunch is set at 1pm with no exceptions. Did not see half the animals as promised by the Ranger-no rhino or giraffe? Disappointed with the reserve very short on animals 2 elephants, 3 lions and 2 cheetahs for example. All animals rescued from other sources not wild. Lunch was a disappointment, if you don’t like salad. Had to pay for soft drinks when we had not been given any on arrival as advertised. Sat around bored after lunch waiting for the journey back when we could have extended our safari time earlier. Overall a very disappointing day-not worth the money or time. Would I recommend-definitely NO. Great experience. A chance to catch many animals in their natural environment. The guide was very well informed. Excellent trip, our driver Cornelia, was very polite courteous and helpful in explaining the sights enroute to the preserve. The games preserve is extensive and the drivers would bring their vehicles close enough for excellent viewing. Inverdoorn offered an generally enjoyable experience the animals, facilities and hospitality at the reserve are great. If this is your first trip to Africa and Cape Town is your only destination then this is a good option for an encounter with the famous animals, as well as a great photo opportunity! Be sure to select your seat in the safari vehicle wisely, legroom is at a premium! When selecting this tour it is important to consider the transfer by the tour operator. From pick-up it took over four hours to get to the park. This in itself is ok, however in my opinion the guide was over-preoccupied with the threat of bad traffic and timings of the day. It became very apparent that the advertised option of enjoying the pool facilities at the resort wasn’t an option due to the driver wanting to get back on the road as soon after lunch as possible – despite then stopping at a winery and shop on the way back. If you have a good amount of time in Cape Town and you really want to see some of the animals then this is probably worth a day of your trip. we went to inverdoorn and had ample time to see the animals during our tour. Loved the cheetahs. Didn’t get to see any leopards, which are nocturnal and difficult to spot anyway. It is a remarkable trip for me. I have a really good time in safari and elepahnt walk section. Our tour guided Nevel is very nice and helpful. This make me have a good impression about Cape town. Excellent tour! Every detail was so organized and we got to do a lot of activities for only 3 days time. Our guide GG was awesome- he made it fun snd took good care of us. Do the adventure tour at the caves- it’s intense but so much fun! My favorite part was the elephant walk. Saw a lot of animals on the safari too. Our hotels were really nice- they were actually more like bed and breakfasts. We opted for the 3 star private accommodation and definitely got our moneys worth. All in all a great long weekend trip! Arrangement of accomodation was good, inclusive of good spread of breakfast. Experience of the elephants were up close and unforgetable. Game Reserve allowed me saw a variety of animals and sometimes really close up. Nice calm kayaking experience. Highly recommended ! The tour was great and professionally conducted. Our tour guide Uriel was very knowledgeable and extremely helpful. We had booked into bed and breakfast accomodation rather than the backpackers accomodation. I felt what we were charged extra for the accomodation was a bit over the top.. But the tour itself was very well done and well managed. This tour was comparable to other Garden Route tours offered by different companies. Our guide, Issac, was a great guide, and most importantly a very safe driver. You get to see the best of the route. The trip was awesome. Our guide was fantastic. The dorms are really good. All the things we did during the trip were worth the experience. You will definitely regret not doing it. Do not take the heritage tour during the visit to cango caves. Take the adventure tour, it will be difficult but much more enriching. Go for the walk with the elephant. You get to feed the elephants, hug them and take pictures with them. Definitely go for the bungee jumping. It is the highest bungee jumping in the world. Its breathtaking. You will have to pay for the elephant ride and bungee jumping separately, but do not miss it. All the activities we did were fun and well organised and our tour guide zee was amazing. The places we stayed were both very nice! It was my birthday on tour and see went out of his way to make sure my day was one to remember. Would recommend this tour and this company to all my friends! Thanks! The tour itself was excellent. However, I have never had such a dangerous driver, ever, on a tour. He constantly tailgated and overtook on the inside at speed. I was sitting on the left and could see other drivers yelling at his idiocy. I didn’t feel safe with him at all. This tour was a great experience. It was an incredible introduction to South Africa for my husband and I. The activities are exciting and enjoyable. We really liked that you can customize the trip to suit yourself through the various options available. The lodging accommodations were charming and welcoming with excellent hosts. Our tour guide, Andrew, was the best. He was friendly and knowledgeable and we learned a lot about the Garden Route and South Africa through him. I highly recommend this tour as a must do for any visit to Cape Town.